Here is something positive we should all think about. The goal of making Samoa healthier is something everyone should insist upon. You see, when we are healthier, we are able to do a lot more and contribute positively to the developments of our families, villages, churches and country. The opposite of course would happen if we neglect our health. Not only do we become a burden to ourselves, families, villages and country, we end up wasting precious time and money on treatment that we can barely afford. All you have to do is look at the health budget tabled last week to get an idea about just how much money is being spent on fixing the unhealthy state of our population. Of $80.1million allocated to the National Health Services, a massive $6million has been set aside for the Overseas Medical Treatment Scheme. Imagine if that money was not needed for poor health but rather used somewhere else to improve education, road infrastructure or people centered development? That should be the goal. When people live healthier lives, the need for millions to send people off for overseas treatment is drastically reduced. On the domestic front, the pressure on the health system is reduced, which should make the load lighter for our already overworked and underpaid health workers. But the benefits don’t stop there. The economy would also benefit from a more active and productive workforce. The truth is that there is not a day that goes by without health taking a toll on the bottom lines given the amount of sickness and illnesses that exist. Folks, we don’t need to be reminded that our health statistics are truly frightening. As a country, while we’ve done well to keep up with the rest of the world in most areas of life, some of us have largely ignored what’s most important - health. As a result, not only are we getting sicker and fatter, we seem to be saying all the right things and doing the opposite. Indeed, the numbers tell a story. A few years ago, top local doctor, Tole’afoa Dr. Viali Lameko revealed the dark truth about health in a piece he wrote for this newspaper. 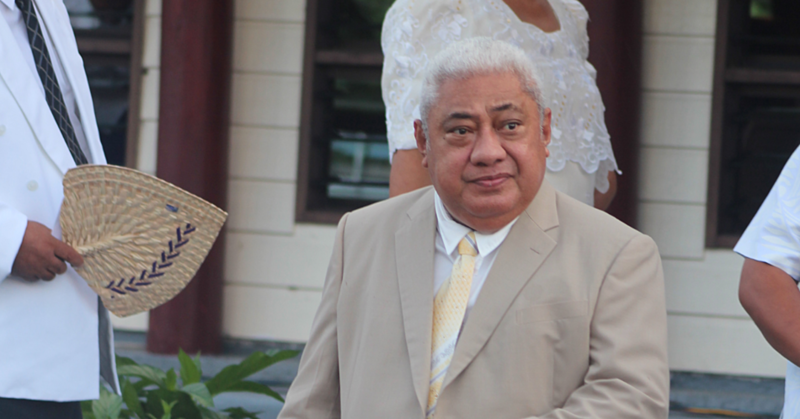 Every second Samoan adult is obese, according to Tole’afoa. That wasn’t all though. 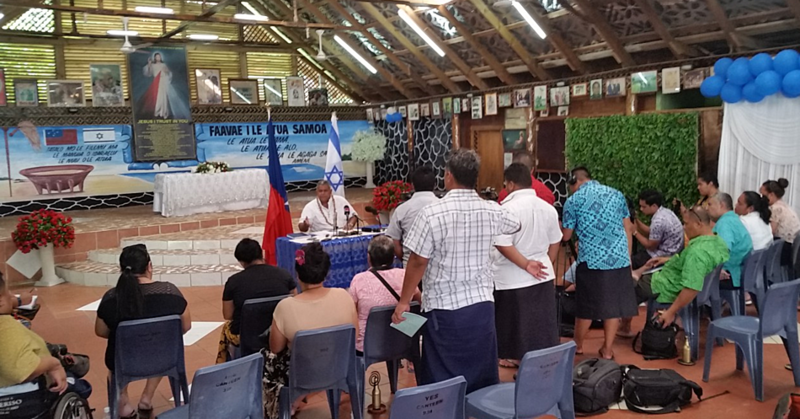 He went on to highlight that every fifth Samoan is suffering from either diabetes or hypertension and almost half of Samoan adults are tobacco smokers. As a result, Samoa’s top six causes of death for all ages according to the World Health Organisation are stroke, heart attacks, hypertension, chronic obstructive lung disease (mainly due to tobacco), pneumonia and diabetes. This is truly frightening. Keep in mind that this was a few years ago. It would certainly be interesting to see if there has been any change? We doubt it though. For many years, we’ve known that lifestyle diseases – also known as non-communicable diseases – are killing our population slowly. As Dr. Lameko pointed out, previous and current health administrators have tried over the years to translate health promotion evidence to tangible activities that are Samoan specific. In addition there have been numerous policies and reports both by locals and overseas consultants warning our people that it’s time to change. Yet it appears that we have become quite an ignorant population when it comes to health. Perhaps we need to make the issue more personal. It is only when we are at someone’s funeral or we watch someone dying that we even give the issue any thought. This needs to change. We need to be constantly thinking about health in terms of the food we eat, the need to exercise regularly and then trying to lessen the burden and stress from having too many fa’alavelave. As Samoans, we underestimate the impact – and consequences of the stress brought upon us by fa’alavelave. It would be interesting for someone to research and get some numbers on how many Samoans die from being stressed out over fa’alavelave. Today, we should be thinking about looking after our health a bit better. Just look around us, think about the number of people in our families who have died as a result of the lifestyle diseases. Think about friends and people we know who are suffering as a result of these diseases. When we do that, the issue becomes much more relevant to us. It becomes more real when we lose a loved one. That’s when we start to take it much more seriously. We repeat, here in Samoa, our hard-working doctors and medical service providers in public and private health care have been telling us this fact for many years. Other than the health sector, there are so many other programmes initiated by Samoans with good intentions to promote healthy lifestyles. Every day we see messages against eating salty, fatty food, smoking and alcohol. They caution us against the risk of high blood pressure among other lifestyle diseases. The key question is: Do we care enough to listen and make the changes needed? The toughest aspect about health is that it comes down to an individual choice. No one can force you to do something if you don’t want to. We either choose to be healthy or we don’t. The problem for everyone is that when a person chooses not to be healthy, the cost is borne by immediate relatives, families, villages, churches and the entire population. Choose wisely, choose a healthier lifestyle. Have a healthy week Samoa, God bless!